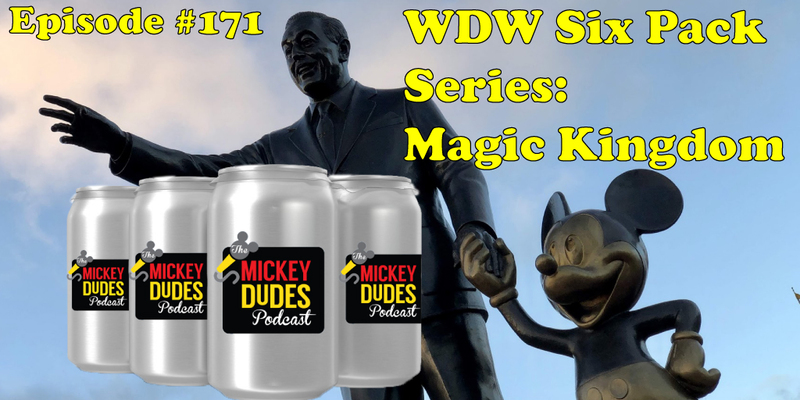 This week, Dave, Joe and Steven begin a new topic we will call: The WDW Six Pack Series. The rules are as follows: you are introducing a WDW newbie to a park but they can only go at peak crowd times of year. We are tasked to pick the six following items (Six Pack) that we feel best represent the particular park (in our opinions): One “E-ticket” attraction, One lesser A-D level attraction, One snack, One meal (QS or TS), and two entertaining “Distractions” (i.e. parades, shows, Meet and greets, etc). For this first episode we dive into the Magic Kingdom. Also, this week we cover the “Elite Eight” of our Smarch Smadness brackets. 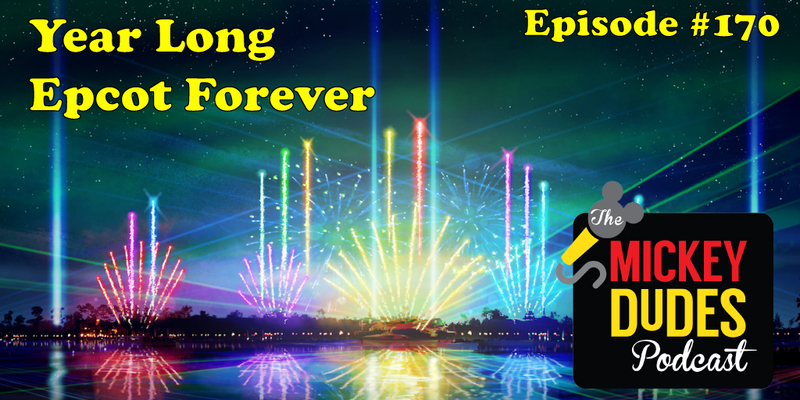 This week, Dave, Jeff, and Chuck gather to do a deep dive into the latest WDW news and rumors including the news that just broke: Illuminations last day is September 30 and the new temporary nighttime show (Epcot Forever) starts October 1. 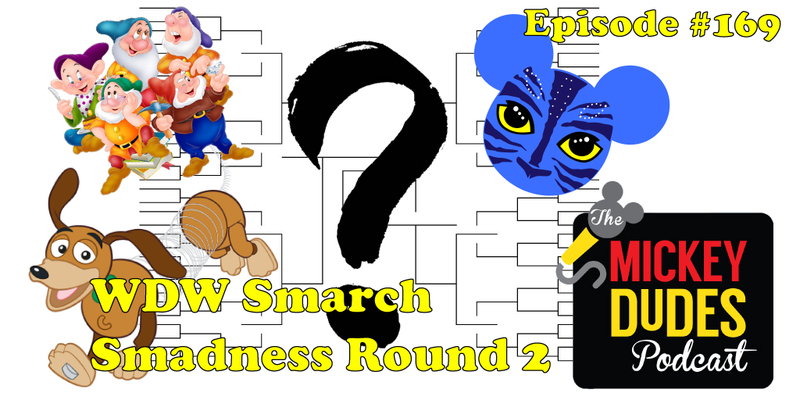 We also go over this year’s Mickey Dudes “WDW Smarch Smadness” bracketology Round 3. It’s round 2 of our bracket tournament. Who will come out victorious? This week, Dave, Jeff, Chuck, and Steven gather to discuss this years Mickey Dudes “WDW Smarch Smadness” bracketology. Pat has seeded the brackets as we were left scratching our heads on many matchups… it’s a wild scene sorting out the winners and losers. We cover round one this week and Jannette Pellegrini has joined us to act as supreme tiebreaker. 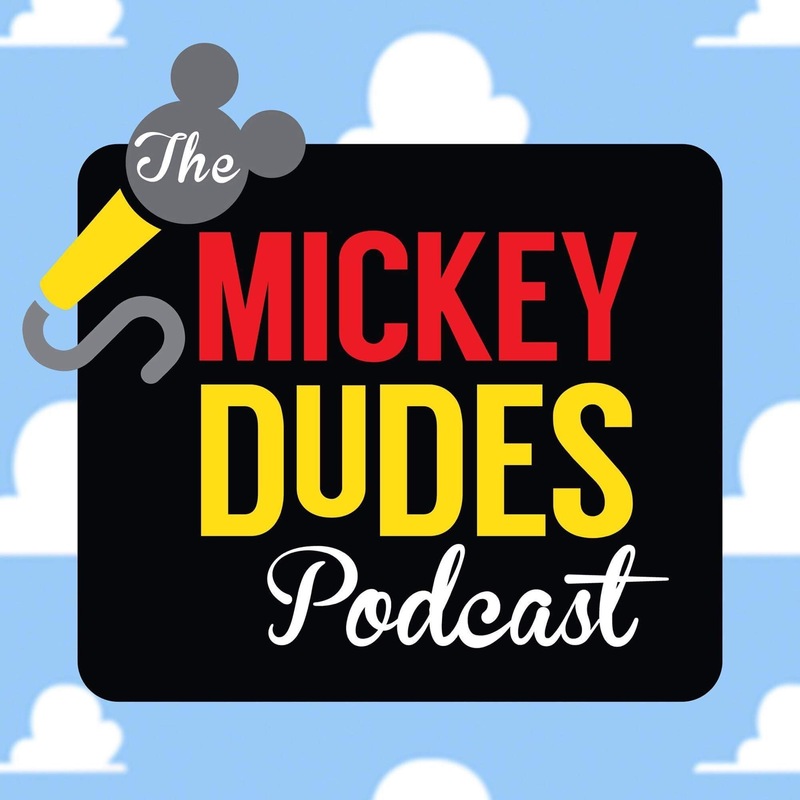 Join Tim, Steven, and Dave as they stroll through Epcot during one of our epic snack crawls on this episode of The Mickey Dudes Podcast. 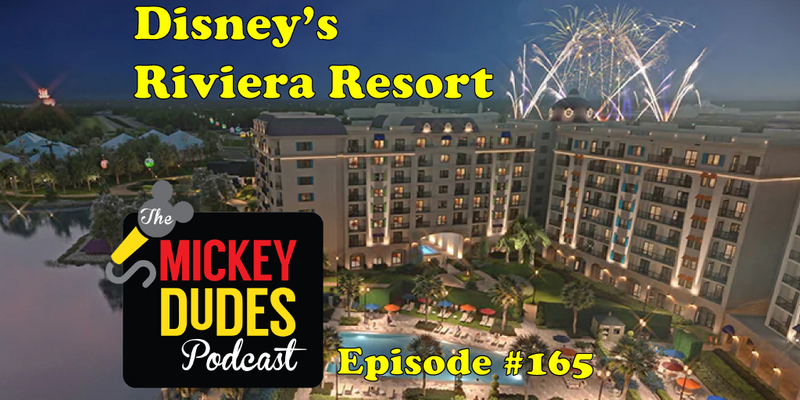 Joe, Michael, and Jeff are joined by Marissa and Derek from DVC Resale Market to discuss the the next big DVC property to open: Disney’s Riviera Resort. 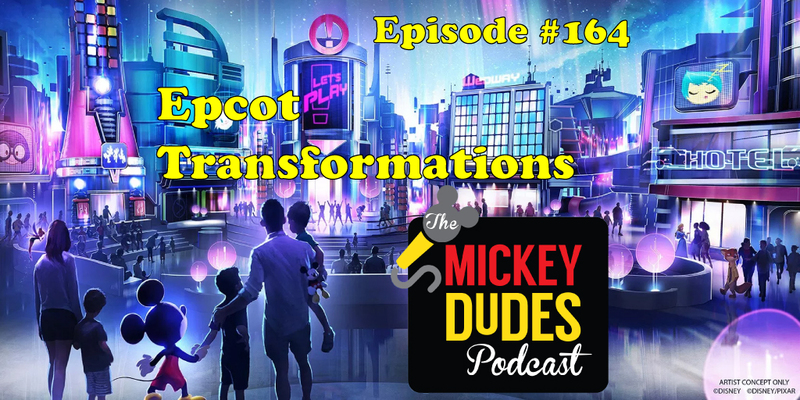 Join us as we get some great insights from the DVC pros and we expand upon Disney’s Skyliner gondolas, Galaxy’s Edge, DVC’s future, and much more! Dave, Jeff, and Chuck unite to discuss the latest Disney announcement about the Epcot transformation for WDW’s 50th coming in 2021. For some reason we also talk about Canada, Hunger Games, and some lady named Beverly. 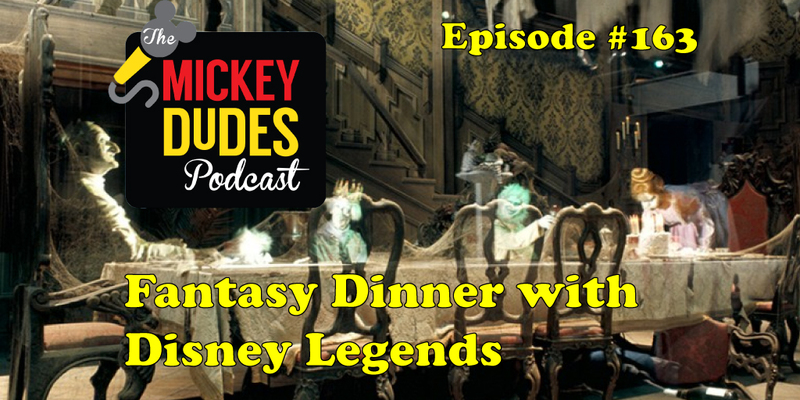 On today’s episode of The Mickey Dudes Podcast, we are throwing a dinner party for some late Disney legends, and you’re invited too. Dave, Jeff, Kyle, and Chuck unite to discuss the latest DisneyWorld announcement about the “World of Dreams” VIP tour. For $12,000 you and 5 friends will embark on a 12 hour customizable VIP tour with 2 tour guides. 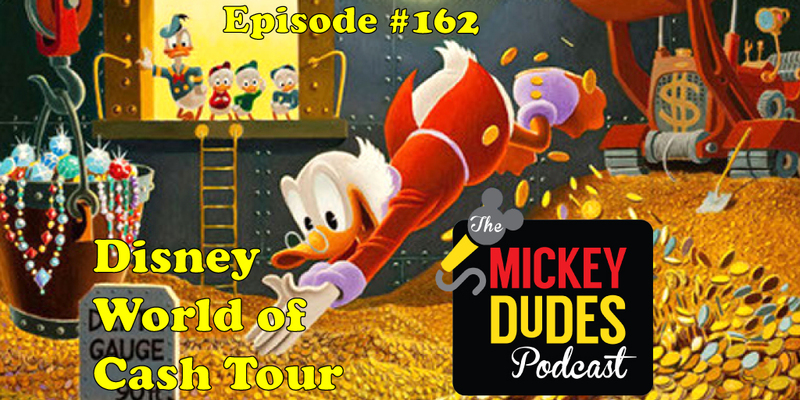 The Mickey Dudes have fun with this idea and discuss their chosen “specialized” tours. 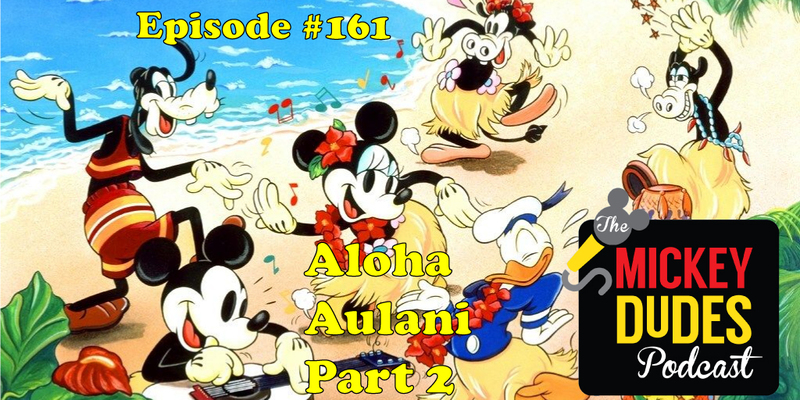 Florence and Mike Porter are back to discuss their adventures at Disney’s Aulani Resort and Spa with Joe in Part 2 of our Aulani follow up today on the Mickey Dudes Podcast. They expand the discussion to include areas outside Aulani around Oahu and other islands. 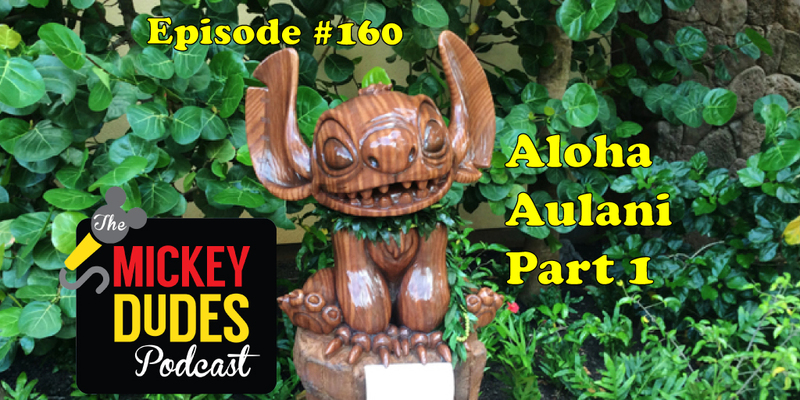 Florence and Mike Porter are back to discuss their adventures at Disney’s Aulani with Michael and Joe in part 1 of our Aulani follow up today on the Mickey Dudes Podcast. 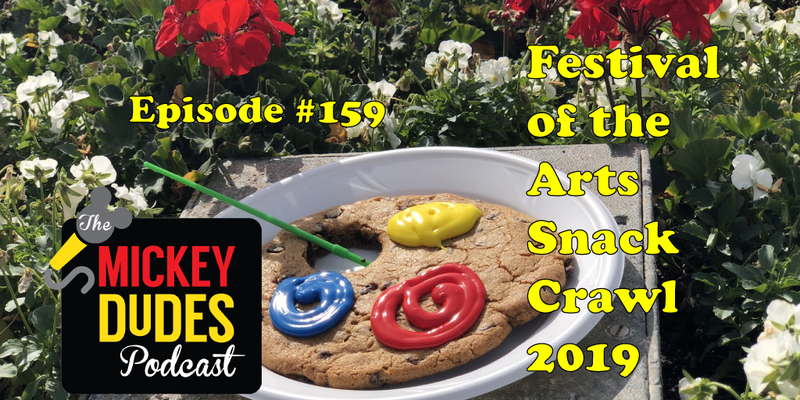 Join Chuck, Kyle, Dave, and our special guest John Mack as we embark on one of our epic snack crawls as we hypothetically visit Epcot’s Festival of the arts. Spoiler: Chuck does not cheat, but somebody else does. 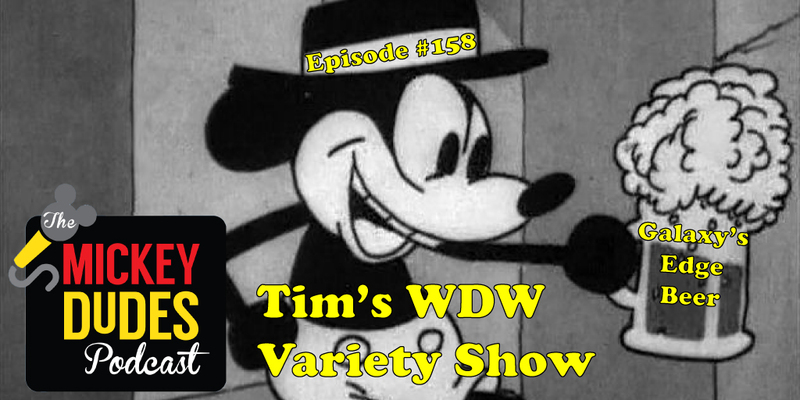 Welcome to Tim Schweska’s WDW Variety Hour! Join our resident Mickey Dude Cicerone (i.e. 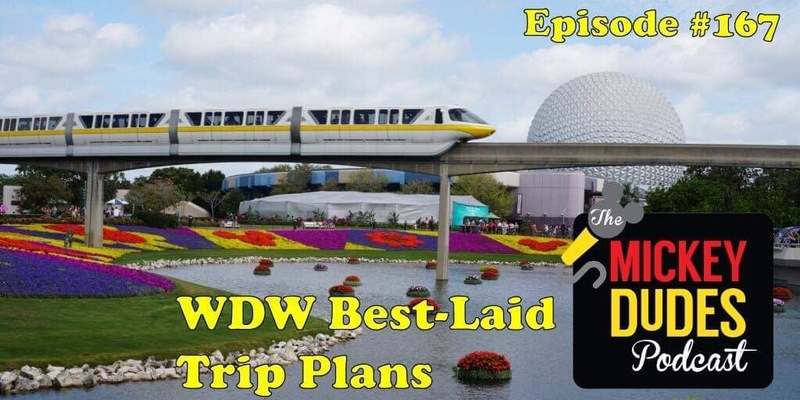 “beer expert”) as he hosts Jeff, Joe, Kyle and Michael to discuss a variety of hot Walt Disney World topics: 2019 runDisney Marathon Weekend (just finished), Upcoming Festival of the Arts at Epcot, and craft beers at DisneyWorld including a sneak peek at the forthcoming Star Wars: Galaxy’s Edge beer! 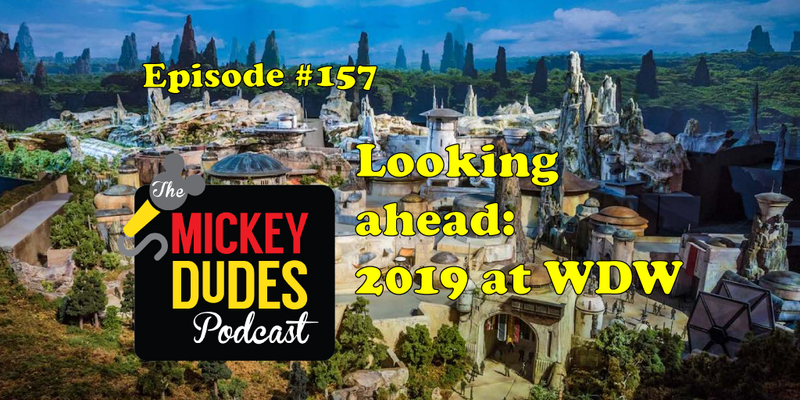 Join Joe, Kyle, Chuck, and Dave along with our special guest, Mike Porter to discuss what we discuss the good things coming to WDW in the year 2019.